Before this song, I had never heard of Charly-C, but after listening to this song, I'll remember him as the guy who did that collabo with Obiwon. What collabo? This song, Bended Knees of course! 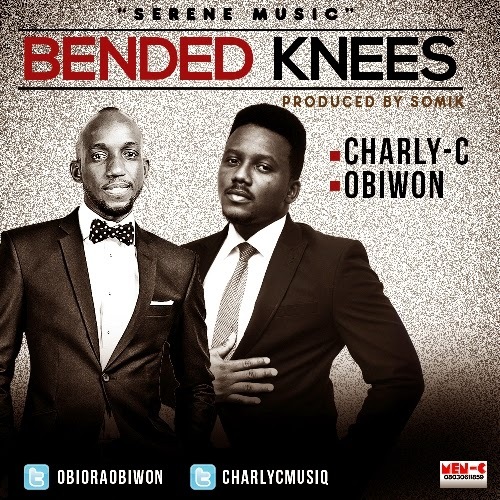 Now, there's something you need to know before you listen to this song: although it is titled Bended Knees, they never actually say it (in English anyway) in the song. I don't speak Igbo, but I am guessing they said Bended Knees in the Igbo lyrics. Please listen and correct me if I'm wrong. Either way, this is a collabo that works, and I'm pleased to share it with you guys. The song features veteran singer Obiora Obiwon. This song will obviously suit your heart with its thanksgiving and soul uplifting lyrics. It's definitely a song every being should have.